Back in February I was in Gothenburg, Sweden and shot my very first Swedish film. All my prior films were made in the US but I wanted to make a film in Sweden for a long time. And what a great experience it was! 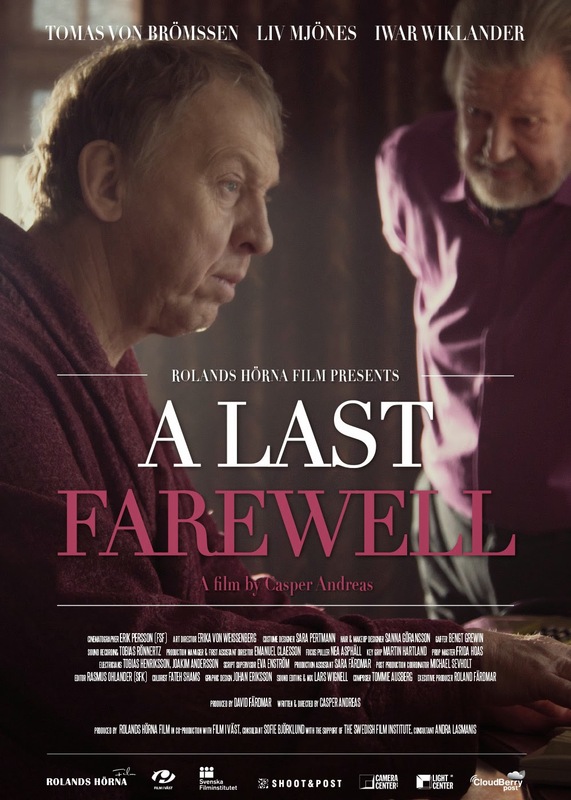 The film is a short family drama titled ETT SISTA FARVÄL (A LAST FAREWELL). It was produced by my dear friend David Färdmar of Roland Hörna Film, who in addition to being a great casting director and director in his own right, turned out to be an amazing producer. David got an extraordinary crew and cast together for the film. The actors in the film are Tomas von Brömsen, Iwar Wiklander and Liv Mjönes -- all well-known actors in Sweden. 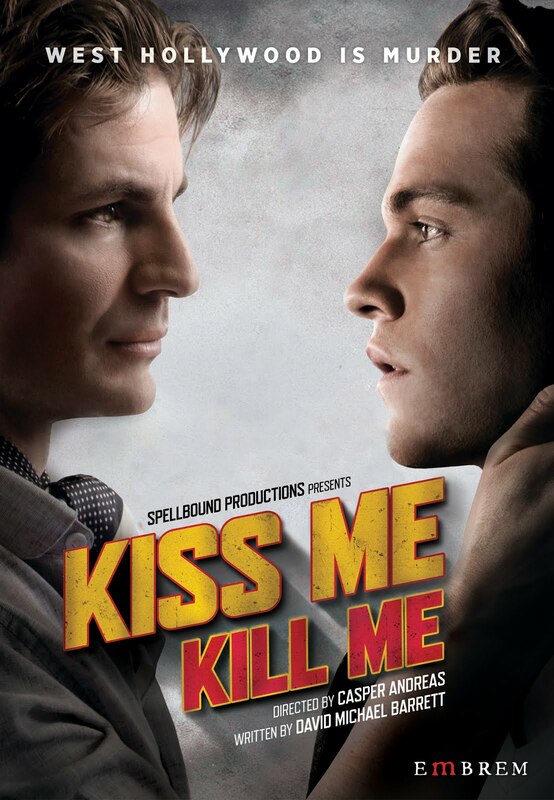 Liv actually stars in a wonderful lesbian feature called KISS ME that is available in the US. Tomas has done so many things in his long career. In Sweden he will forever be known for the TV show ALBERT & HERBERT. His many film credits include Lasse Hallström's MY LIFE AS A DOG. 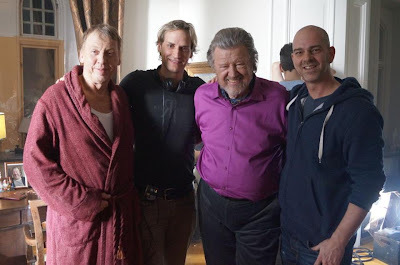 Thomas von Brömsen, me, Iwar Wiklander and David Färdmar during shooting. We had a two day shoot for the 12 min film which worried me a bit when I found out that in Sweden film crews work eight-hours days. (In the US a normal day is twelve hours and often longer). Were we really gonna get anything done in just eight hours? I got David to agree to ten-hour days which made me feel much better, until I found out that the ten hours included the one-hour lunch -- which meant we were back down to 9 hours. In the end it worked out. Thanks to a full-day of rehearsal at the location with the cast, and a couple of days of planning and shot-listing with my cinematographer (the outstanding Erik Persson) we knew exactly what shots we needed and things moved very quickly during our shooting days. A big shout-out also to my set designer Erika von Weissenberg who created an amazing apartment for my little drama! Biggest difference between Swedish and American film crews? 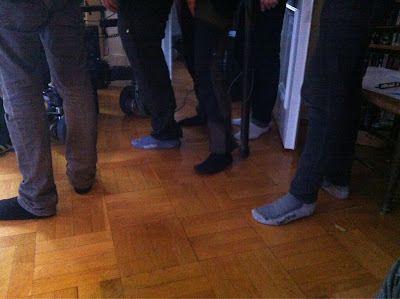 Swedes take their shoes off inside!! After the shoot I went back to New York and worked on the editing with Rasmus Ohlander (my fantastic editor in Gothenburg) via Skype and FaceTime. It was actually just like being in the same room. In April, I returned to Sweden for the final sound mixing and grading of the film. Please LIKE our film Facebook-page for updates on upcoming screenings and to watch the trailer! Thomas von Brömsen and Iwar Wiklander in a scene from A LAST FAREWELL (2013). Liv Mjönes in a scene from A LAST FAREWELL (2013). Where can I view the movie (in the UK)?